Find the right Counselling services for you. For a professional and reliable counselling service, Nbtrade offer listings with skills to accommodate your needs. Counselling services for women, for education, helping individuals, helping families, general health, mental health, employment, dealing with the impact of abuse, drugs, anger, alcoholism, gambling and more. With listings and centres all across Australia providing expert psychological or counselling services. You can find listings for spritual help available to help you with personal issues, relationship counselling and spiritual growth. Tackle depression, Anxiety, Grief, Drug and Alcohol issues today! All listed Counselling businesses take great pride in the health and well being of each and every client. 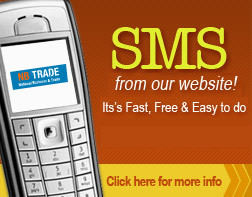 As part of the service Nbtrade.com.au allows you to sufficiently search and then e-mail.com or SMS the counselling business of your choice straight from out site. Specialising from the Far North coast to the Gold Coast search for Counselling Burleigh Heads, Counselling Mermaid Beach, Counselling Palm Beach, Counselling Currumbin, Counselling Murwillumbah and for more suburbs right across australia find what you're looking for in our Counselling Directory.